There are so many different fish and all sorts of ways to cook them. Unfortunately, there aren't too many ways I like my fish. I am really lacking in that department. Here in Louisiana, we love fried fish, so that is always my go-to. I have tested several recipes so I can give my family other fish options. 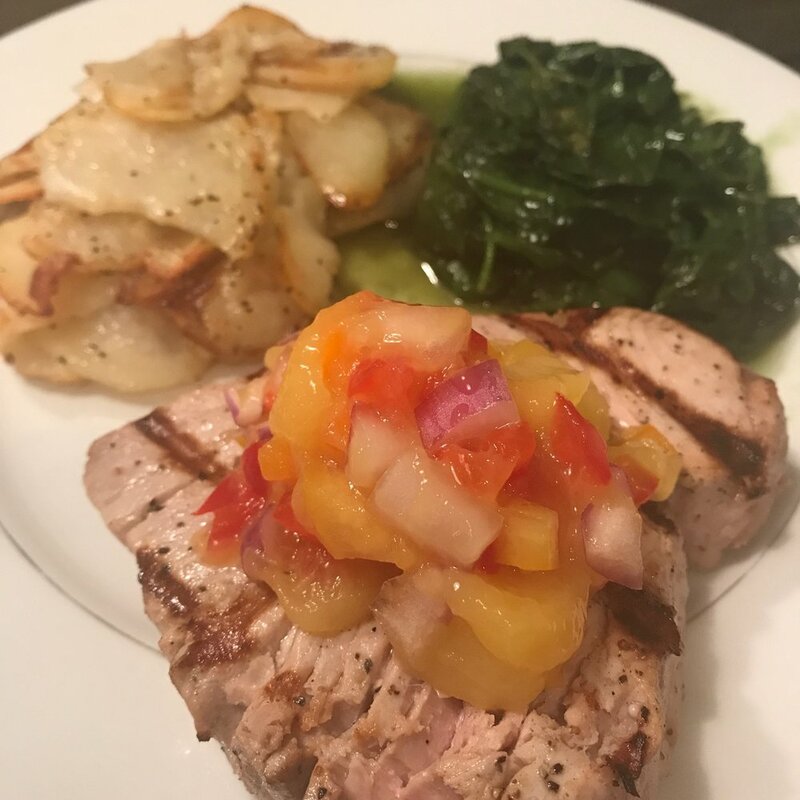 Here is my happy little Tuna recipe that is jazzed up with a salsa. Marinade the fish for about 20 minutes before you grill it. Do not let it go more than 30 minutes as the acid will start to cook the fish. Make ahead and allow it to sit in the fridge for a few hours. Heat your pit to about 400. 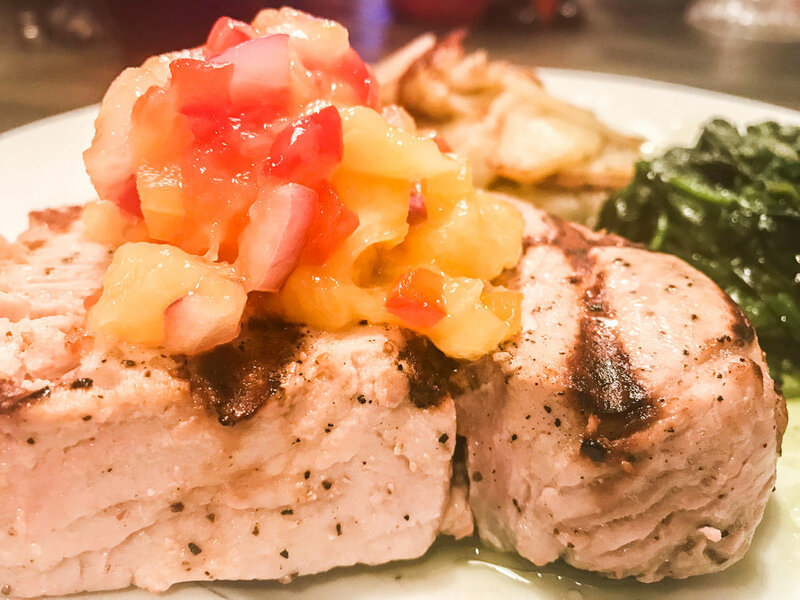 Grill for 3 minutes on each side to produce medium rare tuna. Overcooking will lead to dry fish. It is best to use a spatula for flipping so that it will not fall apart. Serve with salsa on top. Salt and pepper to taste. Fish marinating in a bag.